The platform gives fans a way to have unique experiences involving their idols, while contributing a majority of the funds raised to an NGO of the celebrity's choosing. I got to see Metallica live in 2011. I was a good twenty rows from the stage, but I’m positive James Hetfield looked me straight in the eye when he sang “Nothing matters, no one else” from Fade to Black. Clearly, I was his favorite fan. Having a personal interaction with a celebrity like that one isn’t always accessible. It’s why BidAway has created a platform that gives fans a way to have unique experiences involving their idols. Who gets to be part of those experiences is decided based on the results of auctions and sweepstakes. BidAway keeps 20 percent of the proceeds, and the rest is given to charity. 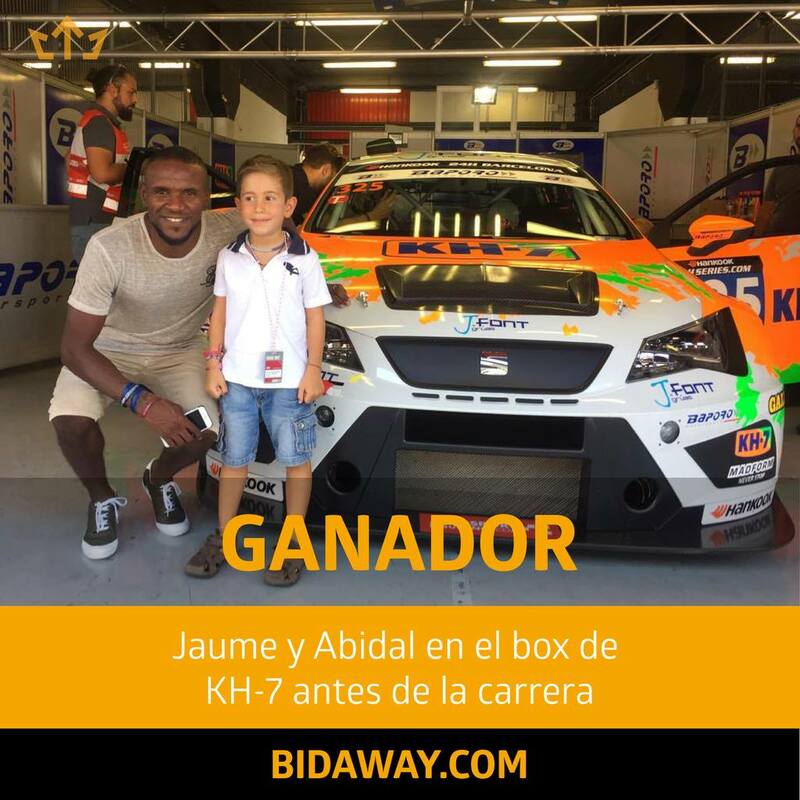 The NGOs that receive contributions from BidAway are chosen by the celebrities themselves. Founder Luca Carlucci tells me that the team puts a great deal of thought both into choosing the right celebrities and fan experiences. When it comes to personalities, BidAway tries to rope in A-listers (currently, Spanish A-listers) who believe strongly in a cause. They started with big names from sports and music, and have since branched out into television and entertainment. “We are also focused on giving our customers the possibility of living truly unforgettable experiences with them, so both aspects are important,” he says. BidAway uses both auctions and sweepstakes to select the winners of their campaigns. In sweepstakes, participants purchase tickets from the website and earn extra ones for sharing campaigns on social networks. The winner is picked randomly using a third-party service. To take part in auctions, you’re required to create an account using an email ID or Facebook. Participants are notified each time their bid amount is surpassed. As you’d expect, the highest bid wins the auction. BidAway in its current form is significantly different from its origins. It started off as a service that let luxury hotels auction their extra rooms. This would give clients a way to set the price for rooms in fancy hotels themselves, potentially making expensive holidays more affordable. “Before we were making luxury travel more accessible notwithstanding clients’ economic conditions, but we’ve changed to once-in-a-lifetime experiences,” Carlucci explains. He isn’t exaggerating when he calls them “once-in-a-lifetime” experiences. 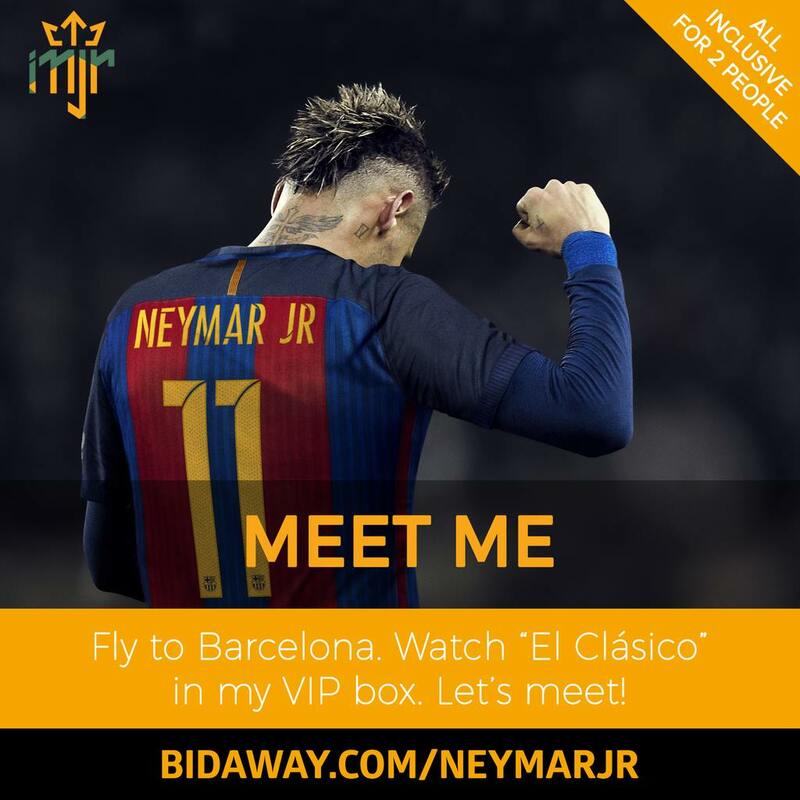 In a short while since the pivot, BidAway has been able to rope in football superstars Lionel Messi and Neymar Jr., and Moto GP World Champion Jorge Lorenzo. Lionel Messi, for example, gave away his signed boots towards a sweepstakes that raised money for the Vall d’Hebron Children & Maternity Hospital in Barcelona. The service currently focuses on the Spanish market, but there are plans to expand into other Spanish speaking countries and Asia in the near future. “We are not yet considering to open a financing round as things are going well also on that side as growth,” Carlucci says. In the process, they’re raising funds for social causes, and creating lifelong memories for their users. I tried to go to the website for this and it was not found on my PC. Is anyone else having the same problems? Pretty awesome bit of information if you ask me. Everyone wants to hang out with a celebrity once in a while. This is a great time to do just that! I am not even sure its on the same page as hotel room auctions, but I guess you never know. Only focusing on the Spanish market does not seem like a good idea for growth. We’ll see how it plays out, but for now, it will only be successful as long as celebs are willing to sign up. I personally love the idea. Celebrities can draw a lot of attention and if it is for charity and a little person’s dream to meet them, what a great project! I am on the same page as you are. This is another great way to get kids close to the ones they idolize. Anytime you can get a few celebs together and donate some money to charity, I think it’s worth a go. I wonder how many celebrities are willing to sign on for things like this? People love celebrities and anytime that you can get a chance to meet them, you are going to see an influx of activity. This is a pretty neat chance to see your favorite. Where they are now is a big change from where they were. I am not even sure its on the same page as hotel room auctions, but I guess you never know.